You have found your Buyer . . . what's next? First - just call me, I am happy to answer any questions you may have. Second - consider hiring a Transaction Coordinator! You probably don't cut your own hair, or fill your own teeth . . . similarily, you may not have the knowledge and experience to sell your own home. However, Realtors do! You are probably aware that Realtors can work as Buyer's Agents or Seller's Agents, however, did you know we can also work as Transaction Coordinators? And just what is a Transaction Coordinator anyway? A TRANSACTION COORDINATOR, is defined as a Real Estate Licensee who is not acting as a contracted agent of EITHER the Buyer or the Seller, yet is providing services to complete a real estate transaction. The Transaction Coordinator, owes no fiduciary duty to either principal in the transaction, but is bound by the Realtor Code of Ethics to act honestly and fairly to all parties involved while working in the best interest to the transaction. A good Transaction Coordinator will act as the Quarterback for your transaction, guiding you and the Buyer to the closing table. Hmm . . . sounds interesting, right? So what services and value can a TRANSACTION COORDINATOR bring to the sales process? You have already found a Buyer, what else is there? Required Documents - Do you know how to write a binding Purchase Agreement? Do you know what documents are required by law to be given to your Buyer? I do, and I can help you navigate these documents and many others such as Addendums to Purchase Agreements, Sellers Disclosures, Lead Based Paint Disclosures, etc. Knowledge - Realtors are required to pass state exams and Continuing Education annually. In addition to a Salesperson's license, I possess a Broker's license. What is a Broker? To be a licensed Real Estate Broker in the State of Michigan, additional education and experience are necessary. I have both! Experience - most veteran Realtors have hundreds of real estate transactions under their belt. I have navigated over 50 real estate transactions in the last year. References for Affiliate Services - real estate transactions will require affiliate services, such as Mortgage Financing, Title Insurance, Survey, Inspection Services, Appraisal Services, etc. Realtors have extensive experience with these affiliates and can help you choose good 'partners' to increase your likelihood of taking your sale to the closing table. I have a list of my 'trusted and true' affiliate partners and will gladly share with you. Earnest Money Deposits - Do you know how to legally 'hold' another person's money? What happens if there is a contractual dispute? Stress Reduction - Who doesn't need less stress in their life? A good Transaction Coordinator will act as the 'Quarterback' - giving you and the Buyer the 'plays', the order, the discipline and the guidance to get you to a successful closing. I guarantee that I can reduce the stress, frustration and size & frequency of any 'hiccups' we may encounter along the way. 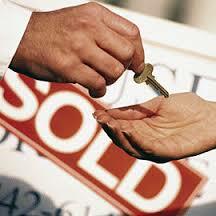 So, if you are a FSBO Seller and find yourself in the situation of having a ready, willing and able Buyer . . . call me, I can help you get to the finish line 616 889-9930!